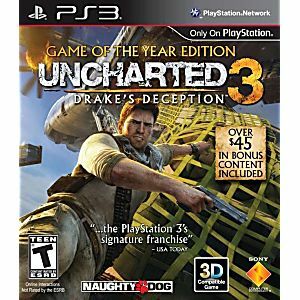 PS3 Uncharted 3: Game of the Year Edition Playstation 3 game tested and guaranteed to work. Considering the next Generation of consoles were released almost a year ago this game is outdated. While playing you will notice texture popping, lack of anti-aliasing (prevents jagged edges on far away/up close textures), and frame rate drops below 30. 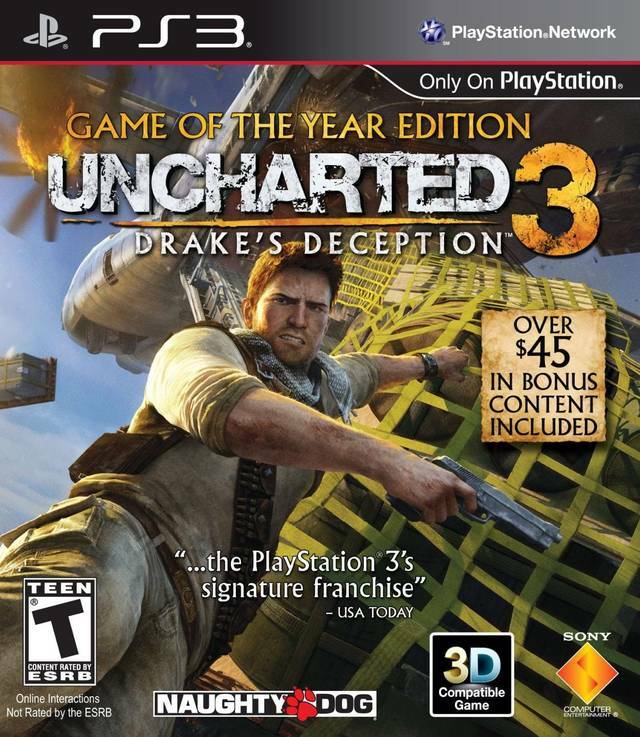 Naughty dogs should've waited and designed this game to be played on the playstation 4. When you go past the gameplay flaws you will be immersed into another great adventure with the treasure hunter Nathan Drake. A great buy for any Indiana Jones fans.